This is a call to independent voters: Do you think you will be able to choose your favorite candidate in the November election? Think again. It is the primaries on Sept. 14 that give us a real choice for the first time in years. Pick the party where you want to have a say - then disaffiliate after voting, if you must. 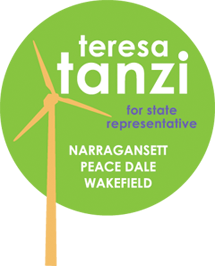 Among Democrats, Teresa Tanzi is running against incumbent David Caprio for State Representative District 34 (Narragansett, Wakefield, Peace Dale). David has served with honor, as he promised when first elected. And I thank him for that. Has he been effective? In the national campaign, Betsy Dennigan is taking on incumbent James Langevin in the Second Congressional District. Both men served 10 years with a mixed bag of results, a long time, considering that we kick out our Presidents after a maximum of eight years. Both women are fighters, in their own lives, and for causes that affect all of us. Both have a keen understanding of health care issues, education and fairness in jobs and taxation. They bring in a new set of ideas and tremendous amounts of fresh energy. I think it is time for a change. Cast your votes on Sept. 14, or your candidate of choice may not be on the ballot in November.